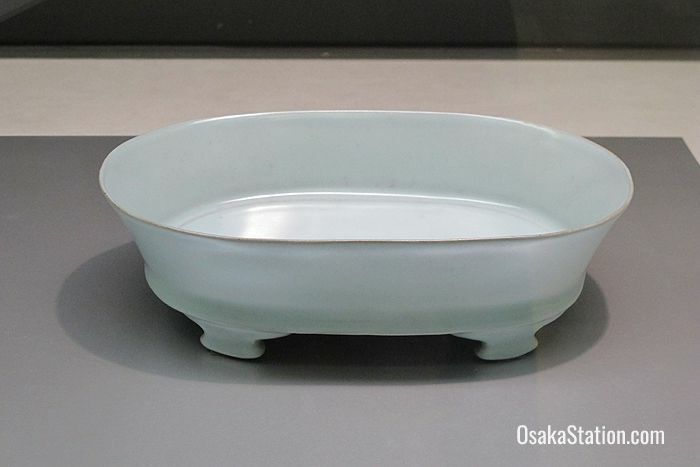 The Museum of Oriental Ceramics, Osaka is a pottery museum in Nakanoshima Park dedicated to the collection, conservation, study and display of East Asian pottery. The museum’s superb collection consists mainly of Chinese and Korean ceramics, but there are also a number of Japanese items which range in time from 7th century Nara period to the mingei folk movement of the 20th century. Even if you don’t already have a special interest in the art of pottery, this museum may change your mind. The beauty of the exhibits and the care with which they are displayed, together with thorough written explanations in English, make this a fascinating and highly enjoyable museum to visit. 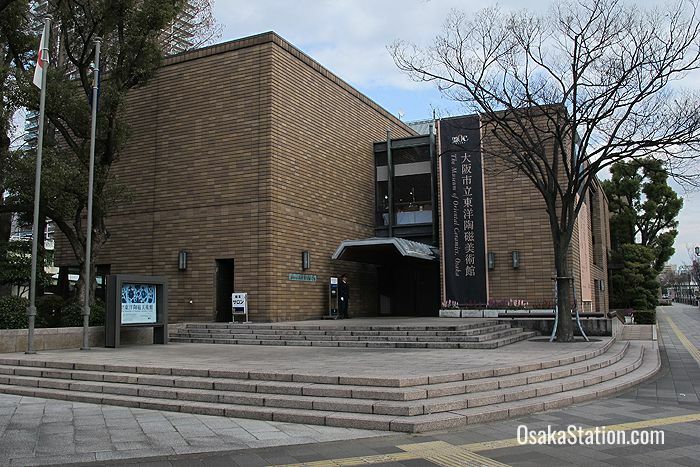 The museum was first established by Osaka City in 1982 to house and display the Ataka collection of oriental ceramics. 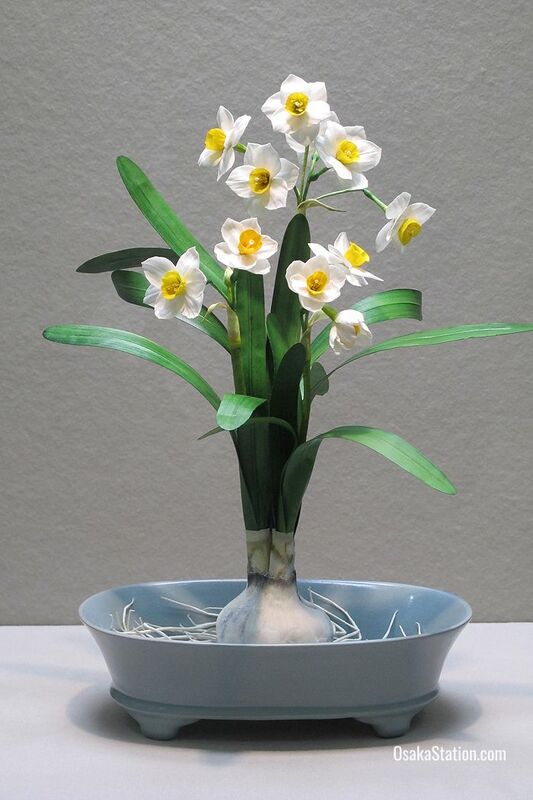 This world-renowned collection consists of 1,000 pieces of East Asian ceramics which had been gathered by Ataka Eiichi on behalf of the former trading company Ataka & Co., Ltd. After the collapse of this company in 1977 it was feared that the collection would be broken up. However, as Sumitomo Bank was the Ataka company’s main lender, the Sumitomo Group of companies inherited the collection and they decided to donate it to Osaka City. Since the museum opened in 1982 further donations of Japanese ceramics, Persian ceramics, the mingei folk works of Japanese potter Hamada Shoji, and the Korean ceramics of the Rhee Byung-Chang Collection have increased the number of items held by the museum to 6,000 pieces which include two National Treasures and thirteen Important Cultural Properties. Today the museum is regarded as housing one of the finest pottery collections in the world. The permanent exhibition displays a selection of around 300 Chinese, Korean and Japanese ceramics organized according to region, era and technique. There are also occasional special exhibitions and at these times the admission fee for the museum may be higher. A great deal of thought has gone into the display of each section of the museum. All of the pieces are displayed on shock absorbent platforms in case of earthquakes, and the museum has won awards for its lighting. Both natural lighting and LED lights are employed to great effect in bringing out each item’s original tones. Chinese ceramics are displayed in bright rooms with high ceilings to enhance their bright coloring. Korean pieces are shown in rooms with low ceilings and somewhat dimmer lighting to create a softer, chamber-like impression. In the Japanese section, the lighting is discreet and pieces are shown in low cases to recreate the viewing conditions of a tatami mat room. Three display cases also have slowly rotating turntables so that visitors can view the exhibit from every angle. Free gallery tours in Japanese are given by volunteers on Saturdays and Sundays at 11.00 and 14.00. The tours last for 90 minutes. It is also possible to book private tours for groups, but this must be done at least 2 weeks in advance of your visit. Tours in languages other than Japanese are not available. There is a tea room on the 1st floor serving drinks and light meals from 10.00 till 17.00. There is also a museum shop on the 1st floor which is open from 9.30 till 17.00. Here you can buy books, post cards, exhibition catalogues, and some ceramic reproductions. Photography is not permitted in the galleries and is only allowed in one designated area of the museum. The Museum of Oriental Ceramics is located on the island of Nakanoshima which lies between two rivers in central Osaka. The museum is a 4 minute walk from Naniwabashi Station on the Keihan Nakanoshima Line, 5 minutes from Yodoyabashi Station on the Keihan Main Line and Midosuji Subway Line, and 8 minutes from Kitahama Station on the Keihan Main Line and Sakaisuji Subway Line. Closed: Mondays (or Tuesdays if Monday falls on a national holiday). Also closed for year-end and New Year holidays. Admission fees may vary during special exhibitions.